The main factors affecting the cost of cataract surgery are your insurance coverage and your choice of intraocular lens (IOL). Dr. Sonny Goel will explain these factors in great detail so you can make an informed decision about your treatment. When a patient experiences a clouding of the crystalline lens, it is called a cataract. Cataracts can cause any number of vision problems including blurred vision, loss of visual acuity, and problems with glare and night vision. Dr. Sonny Goel offers corrective cataract surgery to effectively treat the condition and restore vision by removing the crystalline lens and replacing it with an IOL. 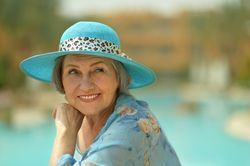 If you are experiencing cataract symptoms, we are here to provide advanced, effective treatment. To learn more about cataract surgery cost, please contact our Annapolis, MD-area office today. The crystalline lens plays an essential role in focusing light onto the retina after it passes through the cornea, the dome-shaped front surface of the eye. After a clouded lens is removed during cataract surgery, it must be replaced with an IOL in order to restore clear vision. Dr. Goel offers monofocal and multifocal IOLs, each with unique characteristics and costs. A standard monofocal IOL will allow you to focus at one distance, and qualifies for insurance coverage under most policies. Most monofocal IOL recipients still need to wear glasses for reading and other functions. Multifocal IOLs allow the patient's eyes to focus at different distances, granting greater freedom from corrective eyewear. In some instances, Dr. Goel can perform corneal touch-ups with an excimer laser to minimize or eliminate multifocal IOL patients' need for corrective eyewear. Most insurance policies do not cover the cost of multifocal IOLs, but many patients find that the advantages these IOLs provide justify the investment. During your consultation, Dr. Goel will explain these options and answer your questions to help you choose the best option for your needs, lifestyle, and budget. Most health insurance plans will contribute to the cost of your cataract surgery, but again, coverage can vary depending upon the IOL you choose. Our front office team will be happy to coordinate with your insurance carrier to determine what you can expect your policy to cover. ​​​​​​​Our office works with CareCredit℠ patient financing to help place the cost of treatment comfortably within your budget. CareCredit℠ works just like a credit card, but it is used exclusively for medical procedures. Additionally, Dr. Goel offers in-house financing to allow patients to pay for their treatment directly with fixed interest plans. Our practice is committed to finding creative financial solutions for our patients, and we will be happy to assist you in any way that we can. If you have noticed symptoms of cataracts in one or both of your eyes, and would like to learn more about cataract surgery and its cost, please contact us and make an appointment at any of our convenient locations. We look forward to help you achieve clear, dependable vision.